Enjoy a beach getaway at Krabi Tipa Resort. 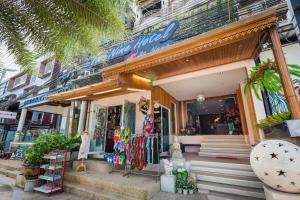 Nestled amidst lush greenery, it offers comfortable accommodation, friendly service and is just a stroll away from Ao Nang Beach. Rooms are decorated with wooden furnishings and feature a large balcony to kick-back and enjoy the scenery. Amenities offered in each room include air conditioning, free bottled water daily and room service. Cool off with a dip in the swimming pool and pamper yourself a traditional Thai massage. Wireless internet access is also available for those wanting to surf the web or send an e-mail home. To explore the island, rent a car or bike or just enquire with the helpful staff at Krabi Tipa Resort. Other facilities include separate children's pool and playground. Once you've worked up an appetite, head to the restaurant, which offers a delicious selection of Thai favourites and international fare. 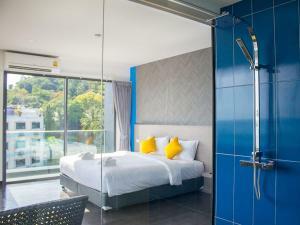 When would you like to stay at Krabi Tipa Resort ? Room features either garden views, pool views or limestone cliffs. Rooms are located on the hillside overlooking the garden.Please note that only a double bed is available for this room type. Suite for 4 adults features views of the mountain. Guests are required to show a photo identification and credit card upon check-in. Please note that all Special Requests are subject to availability and additional charges may apply. A THB 2,000 deposit or a credit card with its expiry date is required upon arrival guarantee the room during the period of stay. Each day we'll check prices and send you an email for your selected dates at Krabi Tipa Resort. If you don't have specific dates but would like to check prices for say next weekend or say next month we can check the price too. Click to write a review and share your experience of Krabi Tipa Resort with other travellers.